What is an herbaceous perfume style? Herbaceous perfume styles feature elements such as lavender, tobacco, basil, sage, bay, lemongrass or mint. Breathe in the scent of adventure - fragrant grasses, fresh powdery ci..
Breathe in the scent of adventure - fragrant grasses, fresh powdery citrus, canvas and a wisp of pipe tobacco and leather. Houston is equally suited to women and men.Click here to check out celebrities that selected Houston. To see it in magazines click here.Jane's inspiration: Houston was originally created for a private client. During its creation, the client related stories of a favorite holiday - a photo safari in South Africa and Botswana. The glory and grace of the animals. Unforgettable vistas. Gourmet meals. Smiling faces. Luxurious tents. A friendly chat, with a pipe and cognac before bed around the campfire. A new perspective. The scent unfolded with the story, capturing its adventure forever. The ingredients of Houston are reputed to support the throat chakra - so if you're considering the fragrance roll-on, we suggest citrine. The turquoise stone shares the same energy as the plant oils in the formula and inspires us to speak our truth, share a story and give voic..
deLavande begins with a hint of powdery clean soap. It is subtly gr..
deLavande begins with a hint of powdery clean soap. It is subtly green with a gentle complement of smoke, spice and vanilla almond wood. Of course, it's heart is an herbaceous trio of lavender from France, Bulgaria and...you guessed it...Carmel Valley California. It is equally suited to men and women.Click here to check out celebrities that selected deLavande. To see it in magazines click here.Jane's inspiration: Have you visited the various wine regions around the world with vines as far as the eye can see? That's how it is, but with lavender in Provence France. Jane fell in love with the warm summer evenings and lavender scented air. The clanking of a bell around the neck of grazing sheep off in the distance. Amidst the buzzing of bees - drunk upon the lavender flowers are myriad hues of purple reaching out to the horizon. The ingredients of deLavande are known to support the throat chakra. 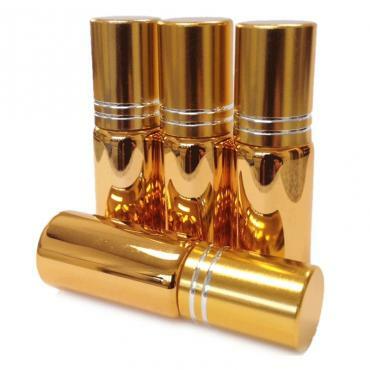 If you are considering our perfume oil roll-on, we suggest turquoise. Turqu..
Lago is a mild herbaceous, amber musk unisex fragrance. It's top no..
Lago is a mild herbaceous, amber musk unisex fragrance. It's top note is lavender smoke with a very subtle hint of leather and an undertone of ambergris and moss. It is equally suited to men and women.Click here to check out celebrities that selected Lago. To see it in magazines click here.Jane's inspiration: Jane first made a variation of Lago for one of our private clients. Many that come to Carmel are big Clint Eastwood fans as he was once the Mayor of Carmel. This client named the fragrance for the town made famous in High Plains Drifter. If Lago beckons you, it's time to take a deep breath, go for a hike in nature or maybe paint the town red.The ingredients of Lago are known to support the base chakra. So if you are purchasing the fragrance oil roll-on, we suggest red garnet. Garnet has the same vibrational energy as the plant oils in the formula. It amplifies and attracts peace, calm and security.Contains: Our proprietary fragrance composition of 100% na..
Purple Haze unfolds with top notes of Italian and American bergamot. ..
Purple Haze unfolds with top notes of Italian and American bergamot. Its dreamy heart shares nuances of lavender, while its depth comes from a base of smokey pipe tobacco and sweet aged dark amber.Click here to check out celebrities that selected Purple Haze. 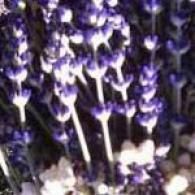 To see it in magazines click here.Jane's inspiration: From the Summer of Love Collection, Purple Haze is inspired by the West Coast vibe, a heavenly aroma of lavender in bloom on a foggy dew dabbled summer morning. Hear the buzzing cacophony of nectar-intoxicated bees moving from flower to flower above the purple haze. It's experiencing life through lavender colored glasses, letting the calm relaxation inspire you and guide you to live your dream.The ingredients of Purple Haze are known to support the throat chakra - so if you are purchasing a perfume oil roll-on, we recommend turquoise. Turquoise has a vibrational energy that enhances expression, truth and authenticity - just like the plant oils it contained i..